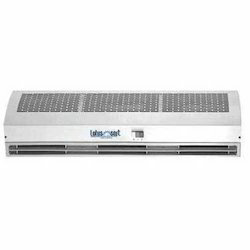 We are a major Importer and Supplier of Air Curtains in India. Bringing forth a comprehensive range of Air Curtains, we have managed to provide a variety of patterns and designs to suit every choice. Our Air Curtains are known for having a modern appearance with a state-of-the-art mechanism designed by experts.